Anita the daughter of Norman and Viola Kramer Lien of Fishtail, MT, was born on November 22, 1940 in Columbus, MT. Anita departed from her home in Absarokee, MT on November 7, 2018. In 1963 she completed a B.S. in Plant Sciences at Montana State College with the Bobcats. Anita then became a graduate student at Colorado State University and received her M.S in Horticulture in 1968. She met James Green at CSU, and they were married on December 28, 1968, at St. James Lutheran Church in Columbus, MT. During the early years of marriage, Anita and Jim lived in: Ft. McClellan, Alabama, US Army Chemical Center; Fort Collins, Colorado where Anita was an Instructor in the CSU Horticulture Department and worked as a designer at Gary’s Florist Shop; and, Bradenton, Florida where Anita was a University of Florida Horticultural Extension Agent. They moved to Corvallis, Oregon 1975-2003 where Anita was an instructor and undergraduate advisor at Oregon State University. She was a steadfast advisor for undergraduates in Hort, and they spent much time in her office, both for advice and direction, and for pleasant conversation about horticulture, the world and life. Anita gathered many wonderful friends in diverse places and walks of life including students, neighbors and university colleagues. The highlight of Anita’s life was the birth on August 1, 1978, the school years and the career of daughter, Alyson Kirsten Green: Her graduation (BA degree from University of Oregon, her graduation from St. Catherine’s and the Dominican University (Masters Degree in Library Research) and her current work as Director of the Joliet Public Library. Anita was very proud of Alyson. They had many fun adventures including the times Anita chaperoned Alyson’s choir trips to Disney Land, served as coach, advisor and judge of Olympics of the Mind and Odyssey of the Mind including the trip to the national finals at Univ. of TN and Dollywood, and driving Alyson and her friends in the 57 Chev to picnics in the park (“Lady in that hat and that car you are a picnic”). The family trips included a visit to Norway with visits to her Grandfather’s farm in Roldal and attending a Lien family annual birthday celebration where they met and sang with the large gathering of relatives at the Central Hotel in Roldal. In 2003, Anita returned to Absarokee, MT, where she became an active participant and had many friends in community activities including The Old Stone Players community theater productions at the Cobblestone. She was an election judge for many years. 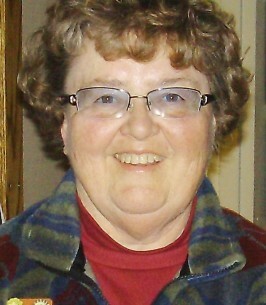 She gladly helped in many community projects including serving on the Stillwater County Library Board. 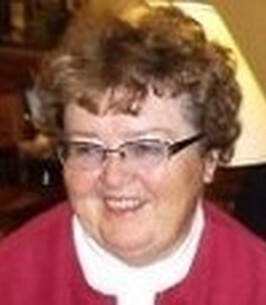 She was a member of the Absarokee Vocational Advisory Council and an active worker in the Quick Draw, the Cobblestone Board, and the Circle T HOA Board. Anita enjoyed being with friends in the Faith Circle of Immanuel Lutheran Church, the neighborhood book club, the Cobblestone Sewing Group, and the knitting group at the Wooly Lamb. She, especially, enjoyed the Wednesday card playing group which met weekly at Anita’s home for cards and laughs this past year as she became less mobile. And, Thursdays were always wonderful: Anita’s friend, Lynda Heimer, would come for lunch, visiting, laughs and hair perfection. Anita was on several wonderful bus trips with her friends: Two trips to Norsk Hostfest in Minot, ND and a trip to Branson, Missouri. She was always ready for a road trip, and she was always planning and looking forward to her next Columbus Class of 1959 Reunion. She dearly loved her classmates, her friends and her family. Anita was a wonderful friend, helper and advisor who always had a good story and a hearty laugh. Anita’s smile and her willingness to participate continued as life-long friendships with friends throughout her career and retirement. Anita is survived by her husband, Jim, who lovingly cared for her as her health declined, and by her daughter, Alyson Green. She is survived by Jim ‘s siblings and relatives and mates in the Hotchkiss High School Class of 1961: Jim’s brothers, Bob Green (Sonya and children Rob, Kathy, Steve and Lonnie) and Gerald Max Green and Jim’s sister, Shirley Hackworth and children Tim (Sherri and children Brian and Heather), Lori, and Denise (Jack and son Ryan). Anita enjoyed many Green family reunions in Colorado of aunts, uncles, cousins and siblings and the many HHS class reunions. She is fondly remembered. At Anita’s request there will be no service. Anita would like for you to Celebrate (not mourn) Her Life! Wear bright colors! Get together with a mutual friend and remember good times and have a hearty laugh! Celebrate her life joyfully and often. The family will gather for a private celebration of Anita’s birth and life on November 22, the date of her birth and the day of Thanksgiving! Memorials may be made to: The Little Free Libraries, c/o Joliet Public Library, P.O. Box 213, Joliet, MT 59014; Museum of the Beartooths, P.O. Box 1, Columbus, MT59019; Project Hope, 428 Pike Avenue, Columbus, MT59019, or the organization of your choice. To plant a tree in memory of Anita Louise Green (Lien), please visit our Heartfelt Sympathies Store. We encourage you to share any memorable photos or stories about Anita. All tributes placed on and purchased through this memorial website will remain on in perpetuity for future generations. Just learned of Anita's passing from he Oregon Stater magazine. I took over as Hort advisor after Anita retired. Anita was an incredibly wonderful advisor and a strong force for good in her student's lives. She was so kind to me as I began the advisor duties. I could succeed her but I could never replace her. Nobody could. We love you, and we know our memories of you will guide us and strengthen us. We miss you. However, you do live in our minds and loving memories.